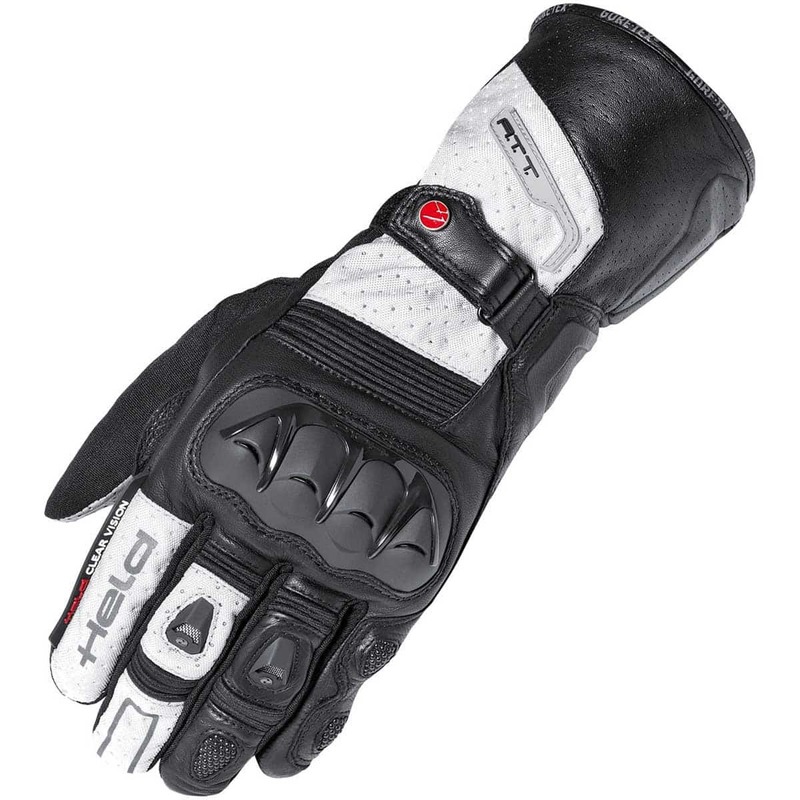 Race style motorcycle gloves: Understated and cool, these motorcycle gloves offer the protection you want, yet look sleek. They're available in a range of colours to match your bike and have great features, ideal for road riding. You've heard of Sas-Tec: These motorcycle gloves have a Sas-Tec knuckle: If you punch a table, you aren't feeling it. Really. This knuckle armour is genius: It gets soft as it gets warmer, so on hot days you won't feel it. It works by hardening on impact to absorb shock from a crash. There's also a kangaroo leather palm and Schoeller-Keprotec protection at the ball of the thumb. Probably the best waterproofing in the world: The Outdry laminate membrane uses ground breaking technology to ensure that your gloves are 100% waterproof. The Outdry membrane is laminated to the outer leather of the motorcycle gloves. Usually in other waterproofing techniques there would be a separate membrane, it means that the rain would have to travel through the outer to the waterproof membrane and it would sit in between those two layers. That in turn means that your hands cannot breathe and they'd get cold! Outdry is laminated to the outer to ensure your hands can breathe and will be 100% dry and warm!